If you’re single and earning €40,000 you are going to benefit from reductions in your tax obligations on both Income Tax and the Universal Social Charge. 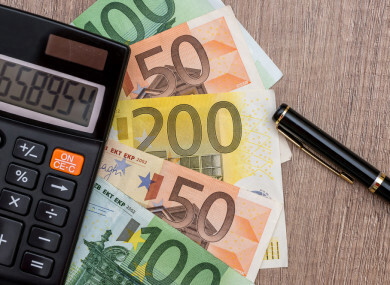 The entry point for the higher rate of Income Tax is being increased from €34,550 to €35,300, so people earning €40,000 are going to pay less tax at the higher rate. This means that workers earning €40,000 will pay Income Tax of €8,940, a saving of €150 on last year. But PAYE workers also pay taxes in the form of the Universal Social Charge (USC). This is a total annual USC payment of €1,123, a reduction of €64 on 2018. If you are self-employed and currently earning €40,000, you will benefit from the same savings as above. Email “Here's what Budget 2019 means for someone earning €40,000”. Feedback on “Here's what Budget 2019 means for someone earning €40,000”.